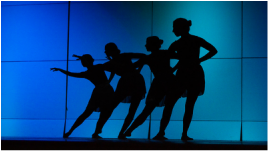 Established in 1985 in Richmond, BC, Danceability Studio offers dance classes in ballet, jazz, tap, hip-hop, lyrical, musical theatre, and flamenco to students of all ages and levels. Stay tuned for more recital-specific information but for now, save the date! Danceability is a dance studio in Richmond, BC with over 30 years history in our community. We offer dance classes in ballet, jazz, tap, musical theatre, hip-hop, lyrical and flamenco for all ages and levels. Visit our news page for the most up-to-date information about our dance studio!